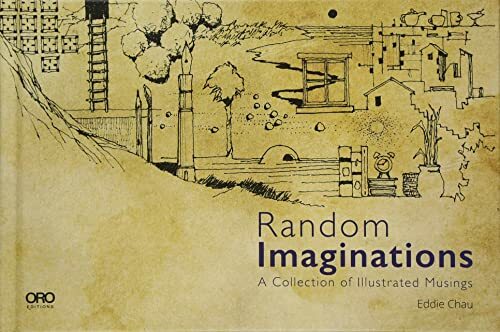 Random Imaginations is a collection of thumbnail sketches from Eddie Chau, a landscape architect from San Francisco Bay Area. Over the course of 27 years, he has drawn close to 5,000 of these thumbnail sketches. Featured within this 216-page hardcover is a selection of them. Each page has 24 squarish sized drawing from his imagination. It's cool to see how he simplifies subjects and work with composition. Doing thumbnail sketches like this can be quite fun and after looking at them I'm inspired to dedicate one sketchbook just to create such thumbnails. Drawing regularly also keeps your creative mind fresh. If you like this sort of books, also check out GALICIA EN TREN by Jorge Arranz, and Color and Composition for Film by Hans Bacher. Jorge Arranz's book is similar, except with colours.